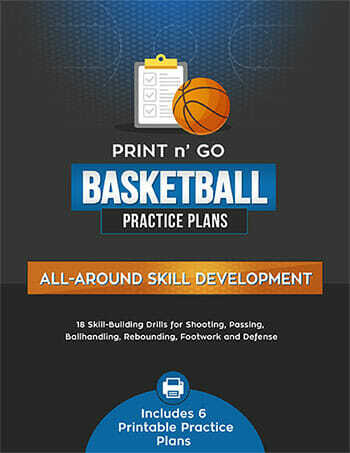 I’ve gotten a whole bunch of requests for [tag]drills[/tag] on [tag]how to improve basketball skills[/tag] over the past few days. Here’s an idea that Jason sent to me. Give it a try and let me know how it goes for you. 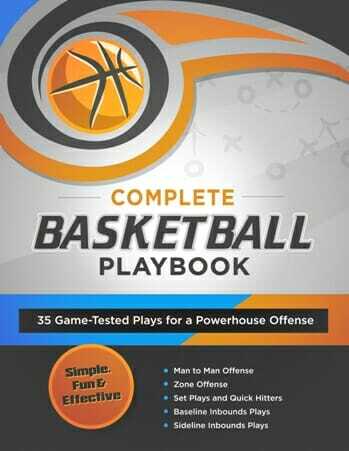 A[tag]basketball[/tag] [tag]drill[/tag] that I run at [tag]practice[/tag] quite often works great on [tag]offense[/tag] and [tag]defense[/tag]. For offense, it works on driving strong to the basket and finishing a [tag]lay-up[/tag] contested and for shooting in rhythm with a defender closing out in your face. For defense, it works great for the defender to cut off the drive to the basket with hands straight up to take a charge or contest the shot and closing out low on the shooter with a [tag]box-out[/tag] to finish. 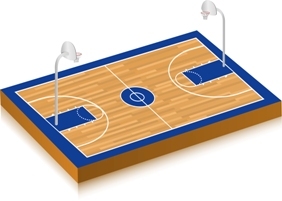 Start–the coach is standing on at the top of the key with two basketballs, one defender standing with his/her back to the basket on the free throw line, one offensive player at the 45 degree angle on the right and one offensive player at the 45 degree angle on the left. The [tag]coach[/tag] throws the first basketball to the offensive player on the right side. This offensive player catches the ball and drives to the basket for a lay-up (works on finishing). Once the [tag]pass[/tag] is thrown, the defender is allowed to move to cut off the offensive lay-up, take the charge, or play solid defense with hands straight up. As soon as the lay-up goes up, the second basketball is passed to the offensive player on the left side. 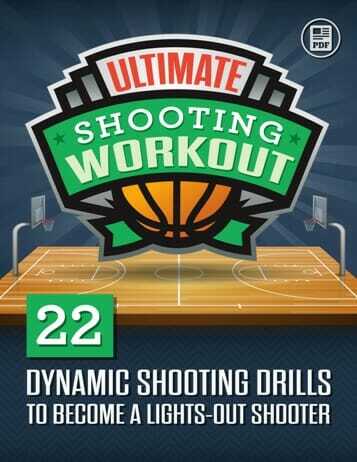 This defender quickly sprints out to the left at a 45 degree angle to closeout low and contest the shot. The offensive player’s goal is to catch and shoot the ball in rhythm and the goal of the defender is to closeout low to contest the shot (not fly out hight, past the offensive player) and box-out. The players rotate from right to left with new players starting as the offensive player on the right.